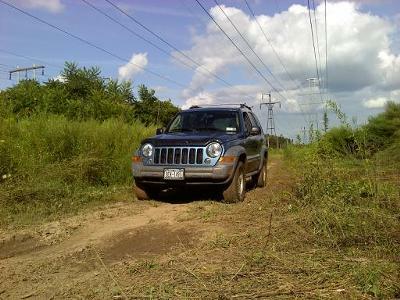 I recently had a chance to take my '05 Jeep Liberty offroad on the powerline trail near our house. Now I've driven TJ Wranglers and YJ's as well on this very trail and have got stuck a couple of times. I was completely amazed at the capability of this Liberty! It never missed a beat even taking more difficult runs that I've never done before. I do see now why the Liberty is somewhat narrow and tall. I was able to navigate trails that quad 4x4's travel without rubbing in the brush. That being said, I've owned this truck for 2 years now and have been forever thinking of buying something else because of the persona that is attached with the Liberty (girls truck). I absolutely hate the seats in it! They are the most uncomfortable things I've ever sat on. They even stain when the rain gets on them. Otherwise it has been a really reliable vehicle and knowing its capability offroad now makes me look at it in a completely new sense. Larry's Comment: Hey Kirt...Just because the ladies also like the Liberty doesn't mean it is any less masculine. Just shows that a lot of women (and men) have good taste. If I didn't already have 2 Jeeps, I wouldn't hesitate to consider owning a 4x4 Liberty.